T-Mobile CMO Cole Brodman is concerned. Not with the fact the carrier is currently number four in the U.S. by a wide margin, or the fact that it still doesn't have the iPhone. No, Brodman is concerned because of carrier subsidies, which he believes is hurting the wireless industry – for OEMS, carriers and even consumers. Speaking at the GeekWire Summit in Seattle, Brodman explained that subsidies "distort what devices actually cost," resulting in companies "to compete on different playing fields." This, Brodman said, leaves consumers to dismiss the hardware they are using. So because it's cheap, it's more disposable, according to Brodman. "It is amazing hardware, but it has become kind of throw away. So, it is unfortunate, you've got dual-core, multiprocessor devices with amazing HD screens that get thrown away at 18 months." Perhaps Brodman, and OEMs, should reevaluate the current strategy of bombarding consumers with so many options. That way, with fewer, better – and better supported with more frequent OS updates – devices won't seem like "throw away." Sure, options are great, but there comes a point when one can have too much of a good thing, despite the saying. So would Brodman actually implement what he feels is the key to fixing the wireless industry? Not if Sprint, Verizon and AT&T don't play along. "It becomes difficult because consumers vote with their pocketbooks, and they will almost always pick a low device price," Brodman said. 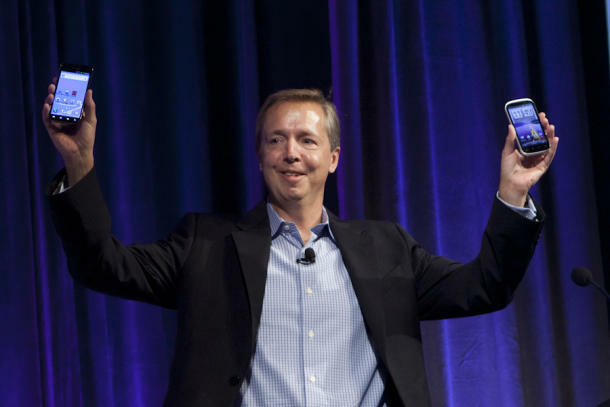 Later during the GeekWire panel discussion, Brodman was asked if T-Mobile can survive without the iPhone, "Yes we can. We have fantastic alternate choices," Brodman said, highlighting the carrier's lineup of Android, Windows Phone and BlackBerry devices. "And I think those devices – whether it is through the app experiences, through the network experiences or through the devices themselves – do things that rival the iPhone – and in many cases – do them better than the iPhone." What do you think of Brodman's comments? Would you pay $600-800 dollars for an unsubsidized phone to have a cheaper two-year plan?